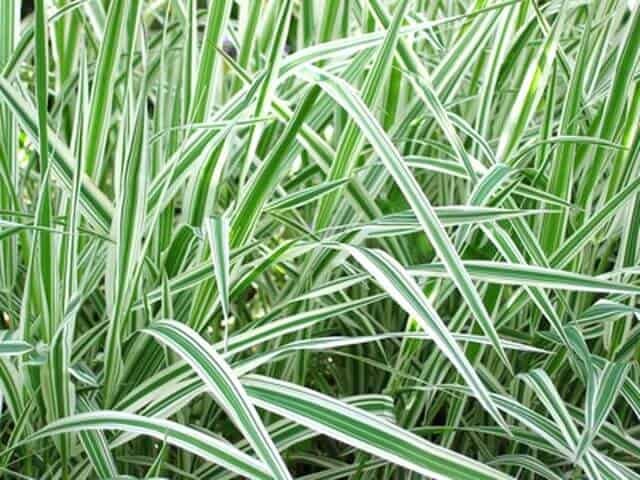 Variegated reed sweet grass (Glyceria maxima variegata) is an attractive variegated grass with pinkish red striped foliage in spring changing to yellow-green-cream stripes later in the year. 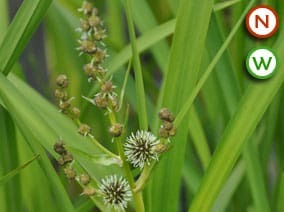 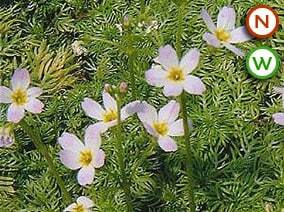 Smaller than the standard reed sweet grass, though still vigorous, and therefore ideal for smaller ponds. 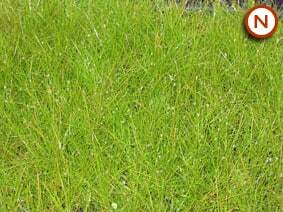 It produces purple-green flowering panicles in late summer and is a good background plant.